Twitter is all about keeping things brief. It is, after all, a microblogging service, one that limits you to 140 characters per post. But while Twitter promotes a less-is-more approach, the same can't be said of the market for Twitter apps and services. You can barely turn a corner on the Web these days without finding one, whether it's a desktop program aimed at organizing your social media life or a search engine claiming to offer the next best way to cull the tweets you want to read. Of course, not all of those apps are equal--but we've found 11 free tools and services that mostly improve on the Twitter experience. Since Twitter is just one of many social networks that most people use these days, a lot of Twitter management apps support additional services such as Facebook and LinkedIn. The following products can help you manage multiple social media accounts. Although TweetDeck is owned by the folks at Twitter, it lets you manage both your Facebook account and multiple Twitter accounts within one sensible, easy-to-navigate application. TweetDeck has long been a favorite of Twitter power users, and it's easy to see why: This application lets you prepost and schedule tweets, find items via powerful search tools, and manage an unlimited number of Twitter accounts. Its interface employs a column arrangement that can get a little crowded at times, but you can customize it to your liking. And this desktop program now comes with a cloud-based counterpart, so you can access it across multiple computers. The strictly Web-based SocialOomph suffers a bit from its plain-Jane interface. If you can look beyond its limitations, however, you'll find it to be a pretty powerful Twitter management tool. Like TweetDeck, SocialOomph lets you manage an unlimited number of Twitter accounts and allows you to schedule tweets for posting on your schedule. But SocialOomph also emphasizes the social nature of Twitter, by helping you promote yourself in order to find new followers and assisting you in identifying and locating high-quality accounts to follow. On top of that, SocialOomph's support extends to Facebook, as well as to several popular blogging services. 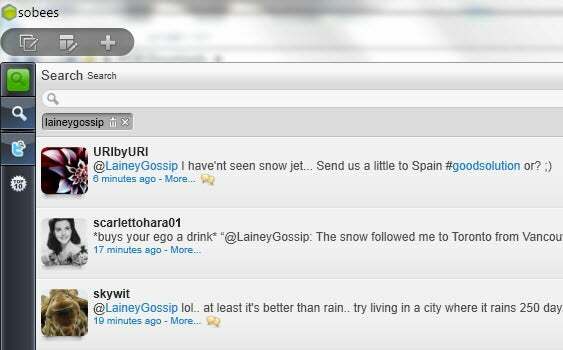 Like SocialOomph, HootSuite is purely cloud-based, but it sports a slick, attractive interface. Its dashboard offers a centralized location for tracking multiple social media accounts, including those on Twitter, Facebook, Google+, and LinkedIn. HootSuite's basic features compare nicely to those of both TweetDeck and SocialOomph, as it too permits you to schedule tweets, manage direct messages, and view @ replies easily. Business users in particular will appreciate the statistics that HootSuite delivers, which allow you to see whether your tweets are gaining traction. 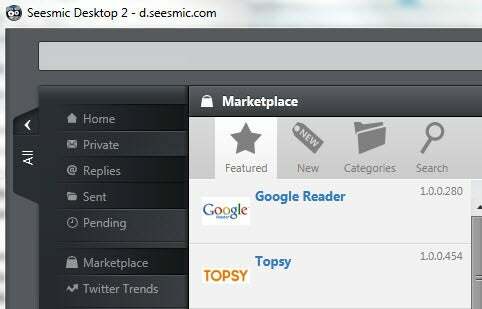 If you're a social networker who's really, really social, you'll like Seesmic Desktop 2. This application (and its Web-based counterpart, Seesmic Web) supports more than 90 third-party services through its integrated marketplace. Twitter, Facebook, LinkedIn, Ping.fm, and Salesforce Chatter are just the tip of the iceberg; Seesmic also supports other apps and services such as Klout, Stocktwits, Yammer, and ZenDesk. The slick-looking Sobees desktop application helps you manage the big three of social media: Twitter, Facebook, and LinkedIn. You can use it to update your status across one or more of the networks at the same time, and easily search Twitter. Sobees also points you toward trending topics on Twitter, but since much of this information is labeled 'Sponsored content', it's difficult to determine how hot a topic really is. If you want to keep a little distance between your Twitter and Facebook accounts, don't worry: You don't need a full-featured management tool to do so. A little utility like Selective Tweets can help. This Facebook app lets you send certain tweets over to Facebook simply by ending them with #fb. It doesn't get any easier than that. Not interested in a multipronged app that supports numerous social networks? Consider A.plus, a Twitter app from Hollywood's Twitter king, Ashton Kutcher. Developed in conjunction with UberSocial, Kutcher's A.plus app offers a decent set of features, such as the ability to view Web-based content directly within the app via its LivePreview panel. Be warned, however: If your tolerance for all things Ashton Kutcher are low, you may quickly tire of the app's A+ panel, which provides easy access to Kutcher's Twitter feed as well as that of his soon-to-be-ex-wife Demi Moore, along with a few feeds of his choosing. You can hide that panel--but if you do, you might as well use something else. If you're seeking a dedicated Twitter app that's light on celebrity influence, consider Blu. Developed as a concept application for Windows 7, Blu is certainly slick. It's more than just a pretty face, though, as this Twitter app lets you easily view your Twitter timeline, @ mentions, favorites, retweets, and more. If you're finding Twitter a bit overwhelming, give PostPost a try. This free service helps you dig through the chaos of Twitter to find content that's personally relevant. PostPost's latest version includes a new Timeline Topline feature, which pulls in the topics, links, photos, and videos from your Twitter timeline that are most appropriate for you. The service determines what's relevant by examining your Twitter account and how you use it. PostPost artfully arranges some of the Twitter content you most want to see--and even stuff you didn't know you wanted to see. 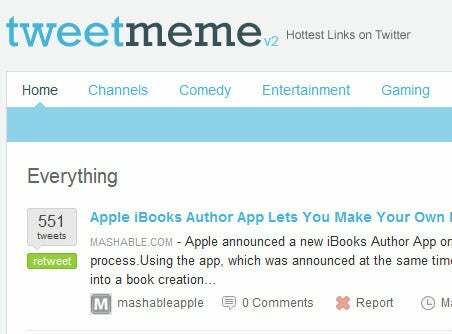 Another service that's designed to help you dig through the boatloads of information on Twitter is Tweetmeme. It does the job by collecting what it deems to be the hottest links on Twitter, and presenting them to you in an attractive layout. Tweetmeme is easy on the eyes, and quite simple to figure out, as it clearly tells you how many times a link has been tweeted, but its usefulness is limited due to its emphasis on links and only links. Looking to gain more followers on Twitter? Turn to Twellow. 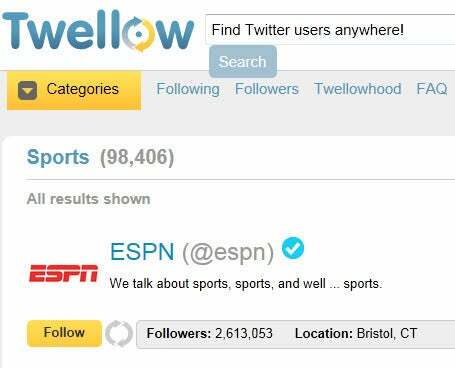 This online directory service, which bills itself as "The World's Largest Twitter Directory," lets you list yourself so that potential followers can find you more easily. It supplies a neatly organized Twitter directory, arranged into categories and subcategories, that helps you find folks to follow.